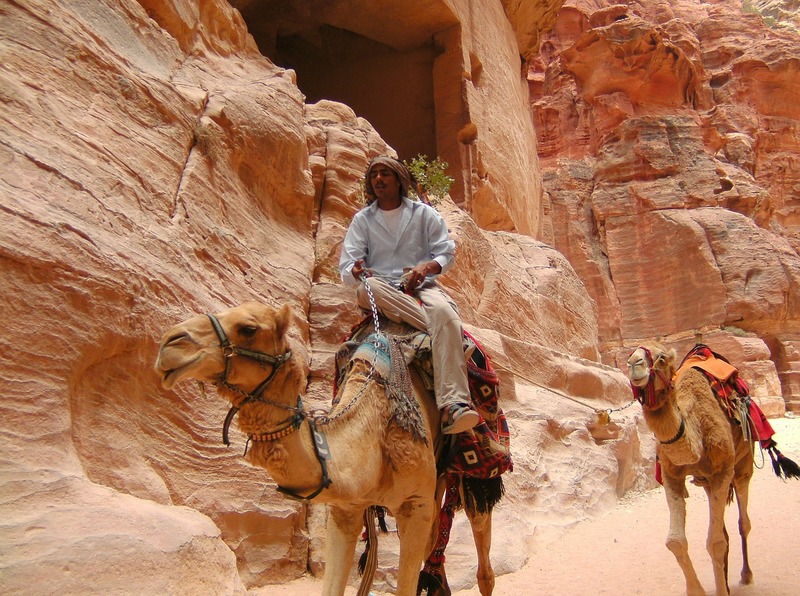 When it comes to visiting Jordan, one of the must-visit attractions is the ancient city of Petra. And the beauty of Petra is best seen at night when the beautiful Petra attractions are lit only by candles and a shower of stars overhead. While you should explore Petra during the day as well, you must not miss out beholding some of the most spectacular nighttime views of Al Khazneh, Al-Deir and Siq which are the three most beautiful attractions in Petra. The ripples and curves of raspberry-rust that fascinate by day vanish at night and get lost in the inky calmness. The ancient city of Petra must be seen during the day as well. And one of the best ways to do that is taking a camel ride around this forgotten city that boasts of a number of tombs, temples and other buildings and carvings. If this is your first time your are going to ride a camel, make sure you hold tight from the moment you get on the Camel. This can be a real unique and fun experience. 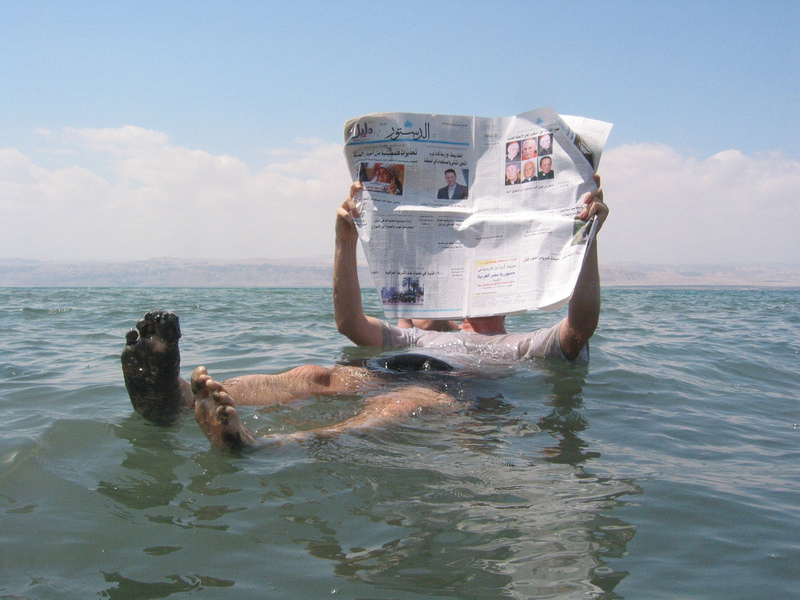 You must know nothing sinks in the Dead Sea. Yes, you can literally sit on the ocean floor and read a book or something. So, this one has to be one of the never-miss things to do in Jordan. 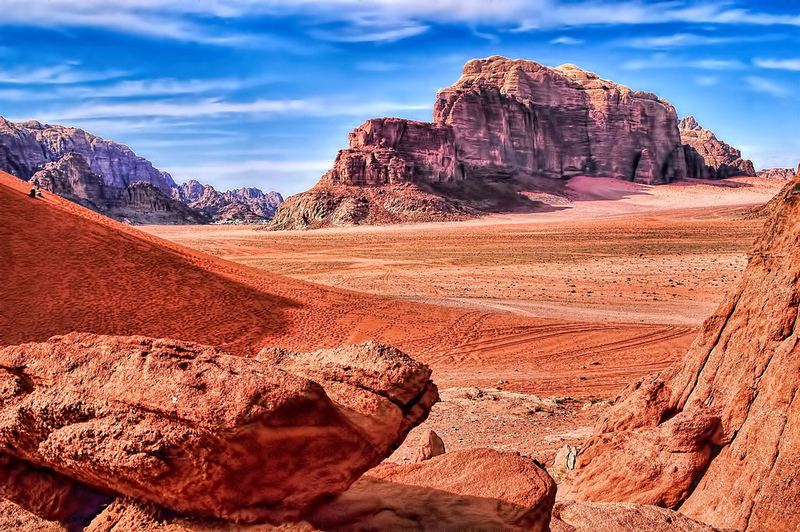 Located in Southern Jordan around 60 km to the east of Aqaba, Wadi Rum is known as the “The Valley of the Moon”. In fact, it is a valley cut into the granite and sandstone rock. It is a place surrounded by sand dunes of the desert. There are a number of Bedouin tents around the Wadi Rum where tourists can stay and see the desert at dawn. Staying in one of these tents, you can hear the miles lot before the sun comes up. You should absulately enjoy the views and warm hospitality of the locals. Tasting Knafeh is one of the never-miss things to do in Jordan. Knafeh, just like the sand and stone of the cities the country, has a detectable taste and wonderful history. If you really love it, try learning how to cook it from a chef from any restaurant in Amman. It is in fact a butter-soaked street-side snack made with cheese. This is a perfect example of traditional Jordanian food. Wadi Mujib is a river in Jordan that enters the Dead Sea at 1350 ft below the sea level. There are some wonderful canyoning spots you can enjoy canyoning. Don’t think it’s something only for the strong and fittest. It is in fact an exciting little adventure anybody should take part and love. Visiting the Dana Nature Reserve is one of the thrilling things to do in Jordan as this nature reserve is one of Jordan’s heading gems. The fascinating stone village of Dana which dates back to 15th century, located at the focal point of the nature reserve, angles under the King’s Highway on a rock face, commanding excellent views of the valley below. You can stay in the Dana Tower Hotel where you can enjoy traditional Jordanian music at an evening musical show performed by hotel staff. There are a number of beautiful Crusader Castles spread throughout Jordan. Make a list of Crusader Castles that you want to visit and be amazed seeing some of the most beautiful ones. The best one has to be Kerak. Mount Nebo is one of the most remarkable Jordan attractions you can’t miss in your tour. There is an incredible mosaic in production Mount Nebo where visitors can write their name. When it will be complete, it is expected to be the largest mosaic in the world being more than 30 metres long with over 3.5 million pieces. Another wonderful experience can be to stay in the Feynan Eco-Lodge without any sound pollution or light. Listening to an engaging storyteller with a cup of coffee and roaring fire under the sky can be an once in a lifetime experience. 1 Comment on "10 Wonderful Things To Do in Jordan"